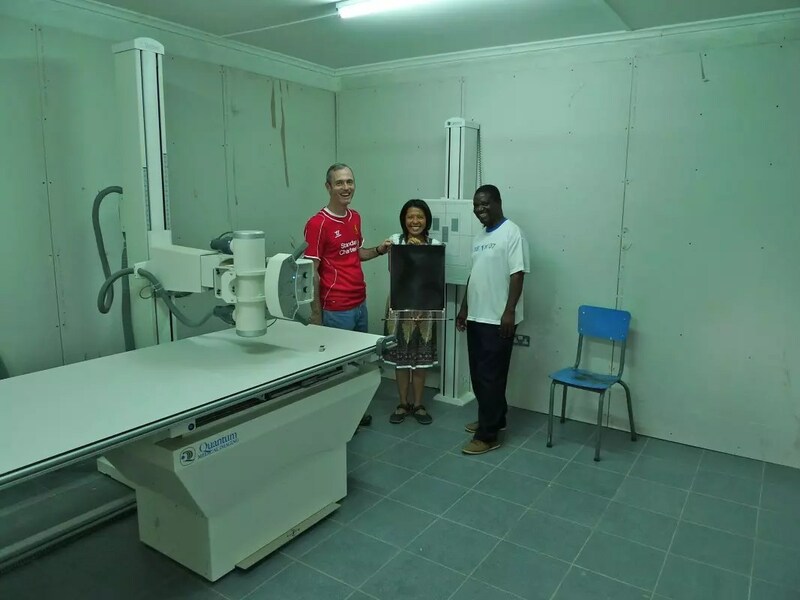 “The radiographic room is nished in the new x-ray, ultrasound and laboratory building.” This is the word I got back from Zimba Hospital just before I left to install the new Quantum medical Imaging x-ray machine. I should have asked more questions. 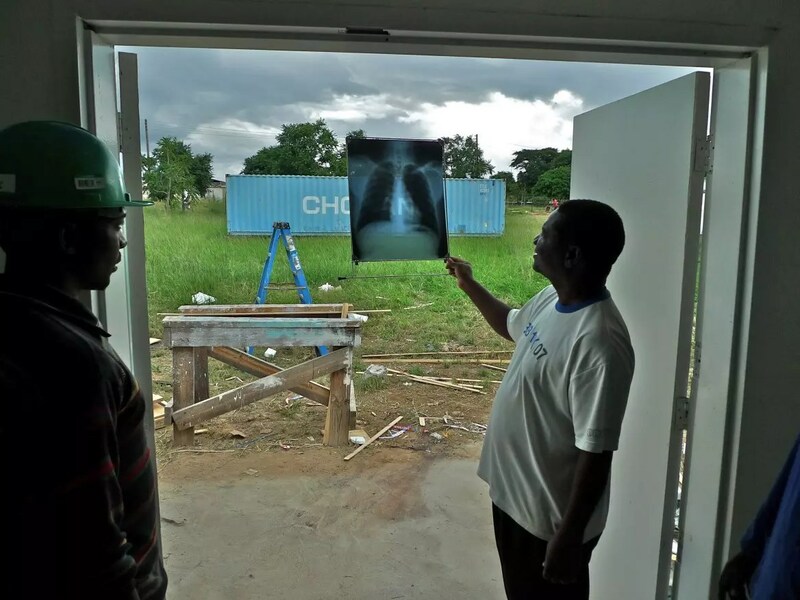 When I arrived the room was indeed ALMOST finished but the radiation protection on screening was not installed and neither were the leaded doors. The lead protection in the walls was 4’ X 8” sheets of 5/8” leaded drywall. Each sheet of drywall weighted 100 pounds and took 6 people to carry each sheet so it would not break. Cutting and fitting this drywall was crazy because of the lead had to be cut with a grinder. AIRBORNE LEAD? 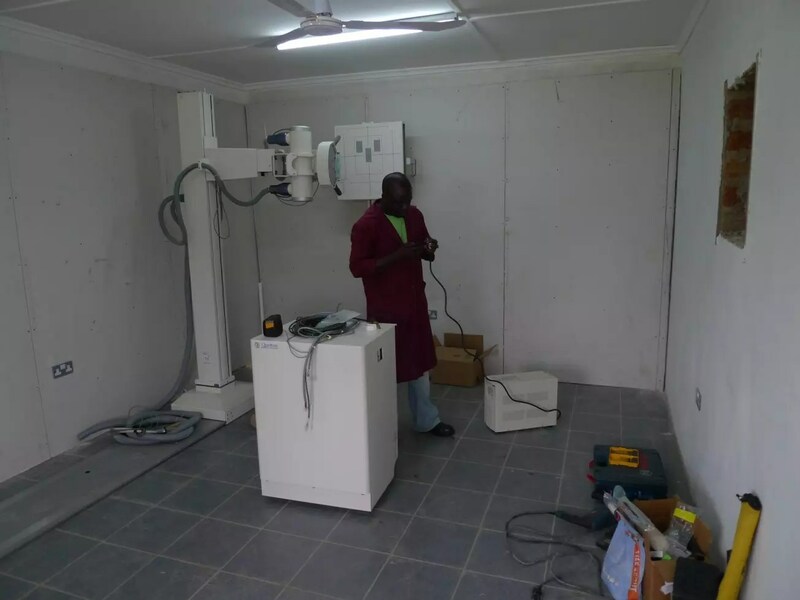 The installation on of the x-ray room went well. 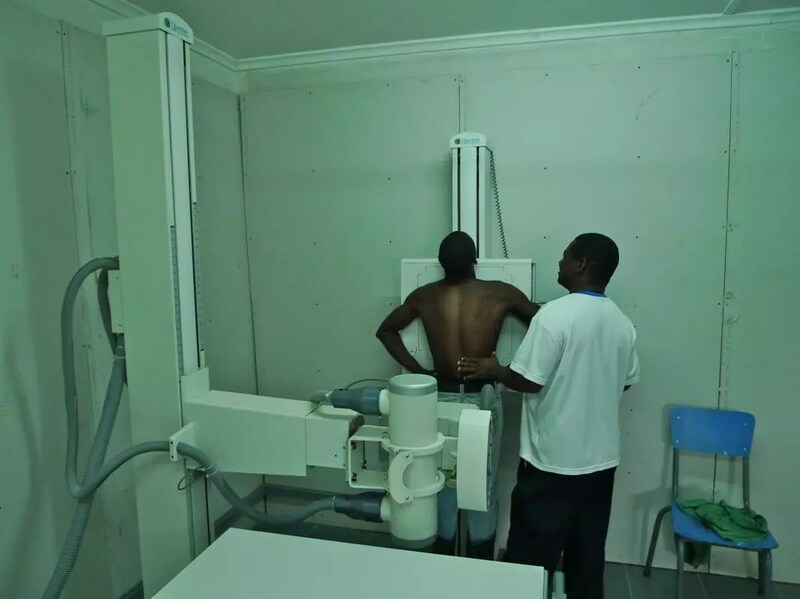 The results were fantastic even on the first chest x-ray. Dr. Dan and Drs. Joan Jones with the first chest x-ray.